Humanscale’s Monarch Mat provides long-lasting comfort and support for today’s active professional. 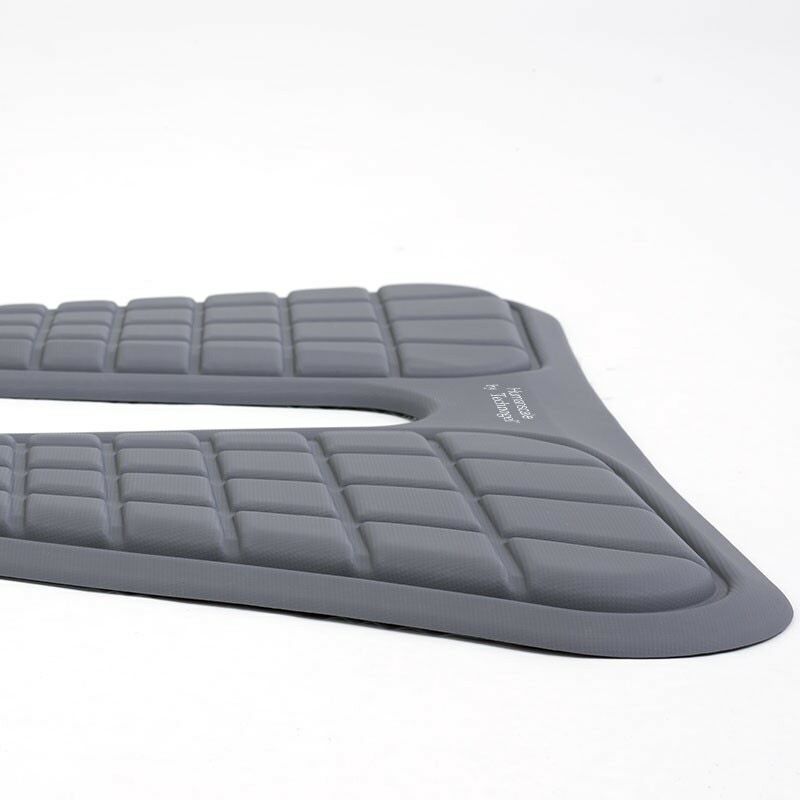 An essential component of the ergonomic workstation, this standing mat disperses pressure and increases circulation throughout the lower body. 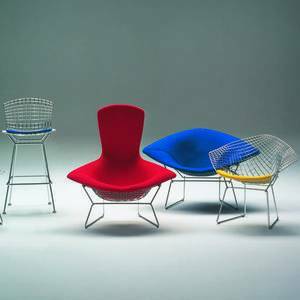 The mat is designed to seamlessly adapt to sitting and standing positions. 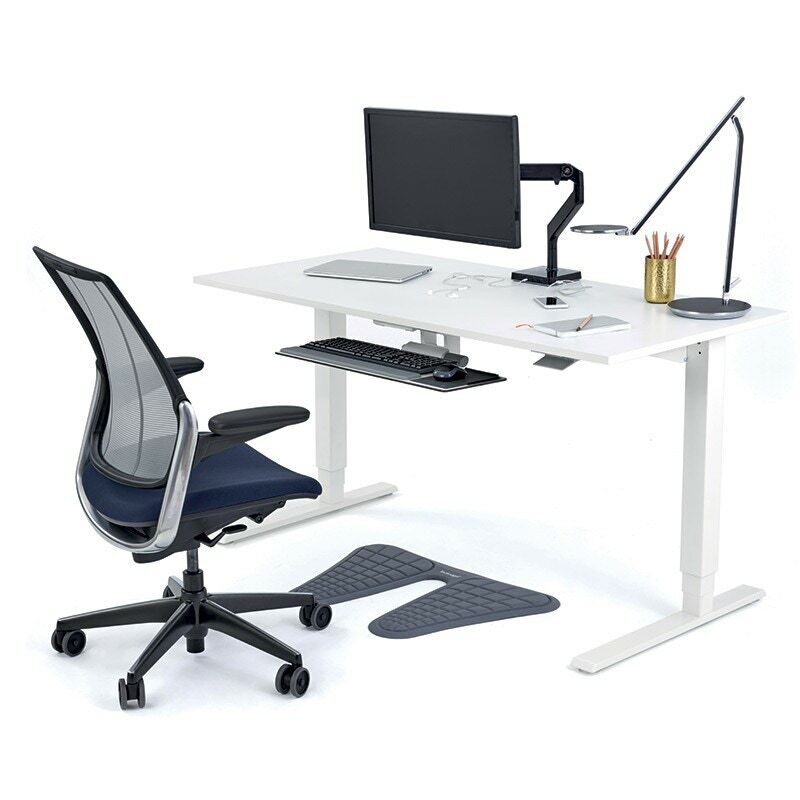 Its butterfly design and outer grooves easily allow the chair base to move in and out of the workstation without having to be mounted onto the mat. 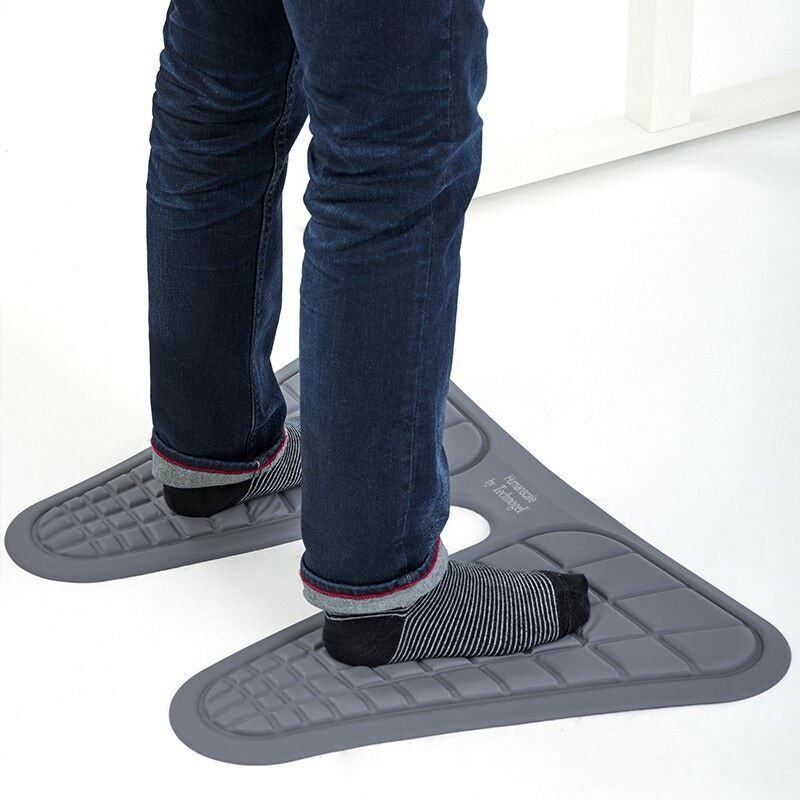 The mat’s high thermal capacity and temperature regulation allows users to enjoy a refreshing, cool feeling, with or without shoes. 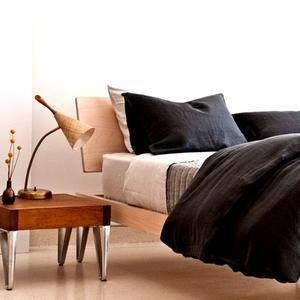 This helps the body stay relaxed and tension-free throughout the day. The Monarch Mat passed a rigorous durability test in which a weighted chair (154 lbs.) rolled back and forth on top of the mat constantly. The mat surpassed expectations, passing up to 30,000 cycles without wear.